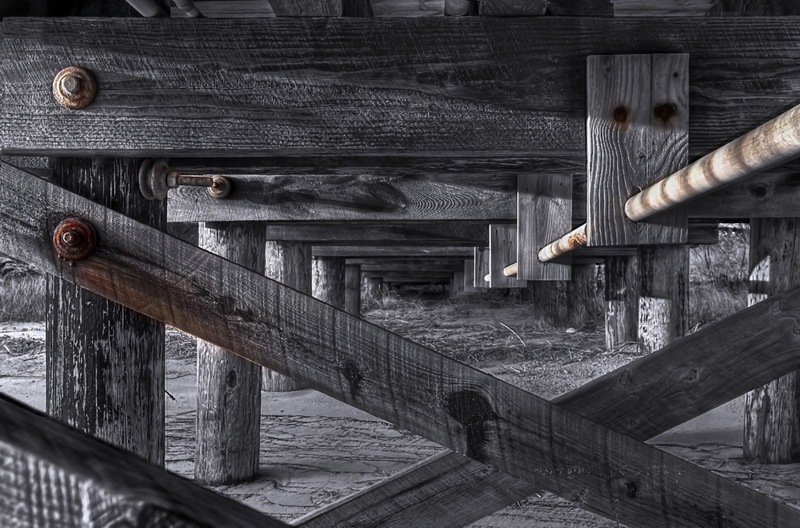 A view from beneath a pier at the beach in Lewes, DE. Camera- Canon 50D, Lens- EF 16-35mm f/2.8L II @ 35mm., Settings- f13, 1/5 (median), ISO 100. Tripod mounted. Fives exposures with 1ev spacing in RAW format. Tiffs merged and toned in Photomatix Pro 3. Converted to monochrome, added cool filter in Photoshop 5. Masked in rust from colored version.